Winner of the Irish Mermaid Challenge, Mihai Fetcu – Romania!! BIG CONGRATULATIONS to Mihai Fetcu for winning the IRISH MERMAID Cocktail Challenge, taking this amazing drink to the next level and spreading the word about it in Romania! 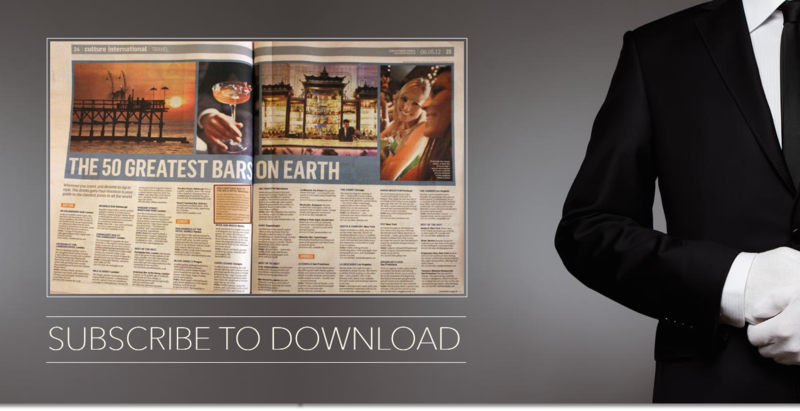 See this step by step guide on how Mihai prepares it elegantly! Granny Smith Apple ball rolled with a smoked salmon slice and cracked black pepper. The Negroni, an elegant classic that has brilliantly survived the test of time, has always been the great companion of all my journeys. – Method: flame the coffee beans with a blow torch, add it to the mixing glass and crush them with the flat end of a barspoon. Add ingredients and stir without ice for half a minute, then stir with ice and double strain over fresh crystal clear ice. – Garnish: Long Orange peel attached to the rim of the glass, with two coffe beans inserted and flamed with a small blow torch in front of the guest; this to emphasize the coffee aroma mixed with the caramelized essential oils of the orange. If you haven’t already, please take a minute to join the #MaxLaRoccaTribe to access exclusive content that will take your career and your establishment to the next level! 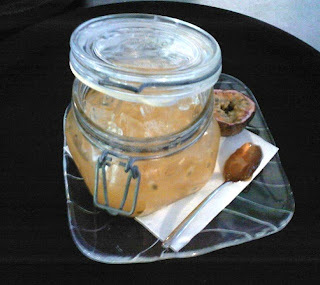 Dissolve marmalade with lime juice in a mixing glass. Add the other ingredients, shake and double-strain into a chilled cocktail glass. Serve with a brown-sugar-caramelised passion fruit half. 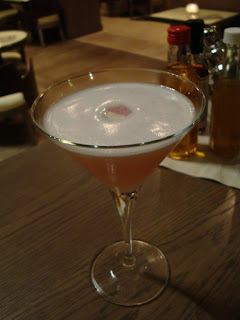 ..I love marmalade drinks, such a nice and velvety consistency on the palate as you drink them! Or even better..why don’t we serve it on the rocks in a marmalade jar, shaken and opened at the customer’s table? For this drink I’m gonna be using a Super Premium Bourbon as a base and what is different from other Bourbons is that Bulleit has a High Rye Content that makes it a spicy with a very distinctive character. Bringing back to life his great-great grandfather’s bourbon recipe from 1830 and starting the Bulleit Distilling Company. This Bourbon is very silky and delicate at the first sip, has a nice vanilla and pralines aroma but with a rich and long finish to it. I wanted to enhance the spiciness of this whiskey even more, by adding a little bit of cinnamon syrup, muddle the ginger, then balance it out with some fresh lemon juice, and add the egg white to give the drink a nice frothy head that will feel silky on your lips when you drink it. Now give it a nice smiley shake!! Always remember to Listen to the Ice, that is the alarm bell that will tell you when a great cocktail is ready! Since I’m in Italy I decided to use some nice Italian Red Wine and float it on the top. Then for an extra level of flavour, I’ll grind a Tonka bean on top that will give a nice vanilla aroma on your nose while you drink it. The drink combines the warm raisin and caramel hints of Bushmills 16yr with the gentle bitterness of Guinness Stout both enhanced by the freshness of the cardamom. It is recommended to eat the skewed raisins while sipping the drink in order to experience the amazing burst of flavours provided by this drink.